Looking for a way to easily add a pop of color to a room in your home? Making your own colorful wall art with embellishments like embroidery is super easy thanks to the thousands (and thousands!) of designs on Spoonflower and a little help from textile artist Allie Chenille (alliechenille on Spoonflower). 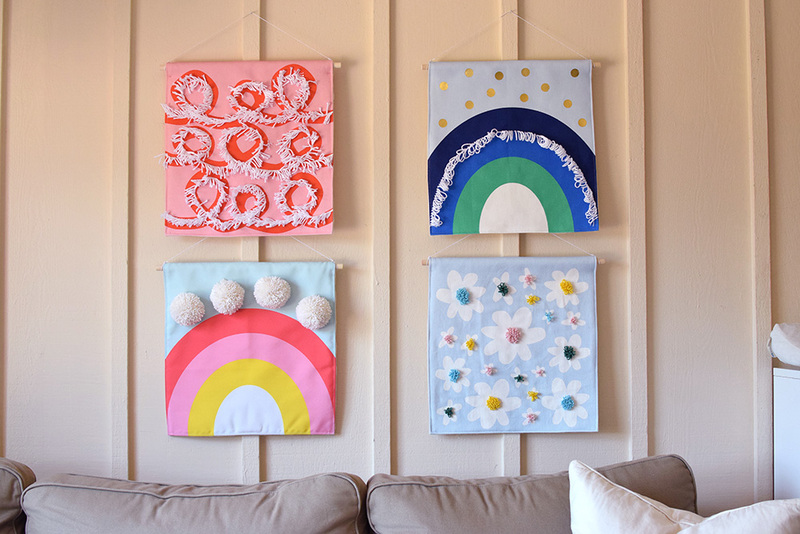 Allie’s stopping by the blog to share a fun DIY wall hanging project featuring her playful cut-and-sew designs using just a fat quarter of Cypress Cotton Canvas. Have you ever wondered how designers in the Spoonflower community create the adorable cut-and-sew projects you’ve been eyeing in the Marketplace? From the purrrfect zipper pouch (see the how-to here) to a giftable hedgehog plushie, the only limit to creating your very own cut-and-sew project is your imagination. 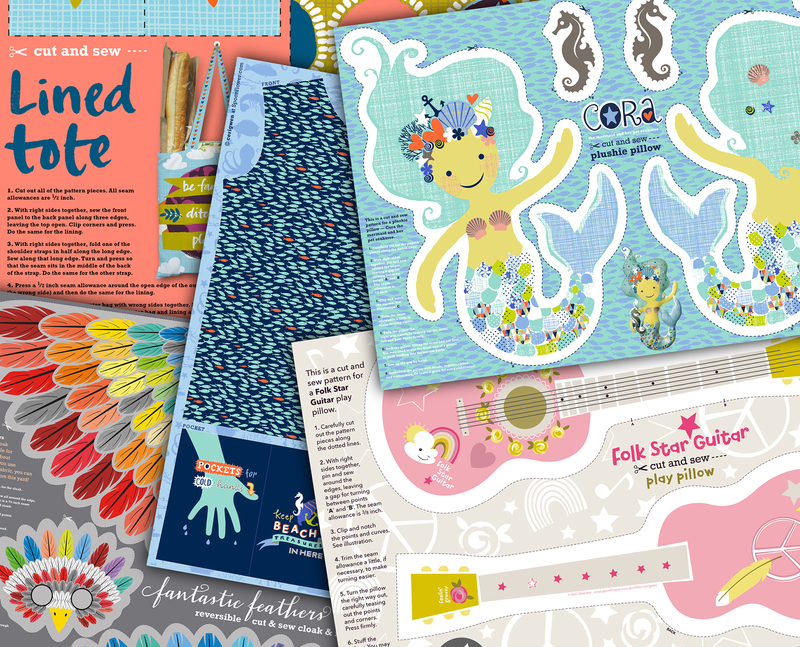 To help you get started, Spoonflower designer Ceri Staziker–cerigwen in the Marketplace–is sharing seven design tips for successfully creating a cut-and-sew project. By the time you’re done, you’ll never underestimate the power of a fat quarter! Spoonflower designer cerigwen knows a thing or two about cut-and-sew projects!